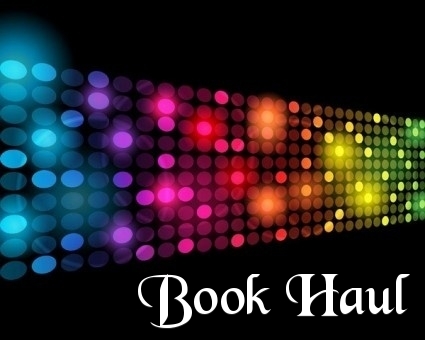 It’s a very special book haul this week. On May 23rd I attended the MCM London Expo at the ExCel Centre. It’s basically our version of Comic Con, last year I had the privilege to meet Rachel Caine, author of the Morganville Vampires series, Weather Warden series and many others. She was a lovely lady and she signed my book – one of the first printing covers and probably the only one in the queue to have it and get it signed but I digress. This year I had the privilege to meet 2 authors at the Bloomsbury stand (for those of you who don’t know who Bloomsbury are they published the Harry Potter books and are popular with children’s authors and Young Adult fiction). 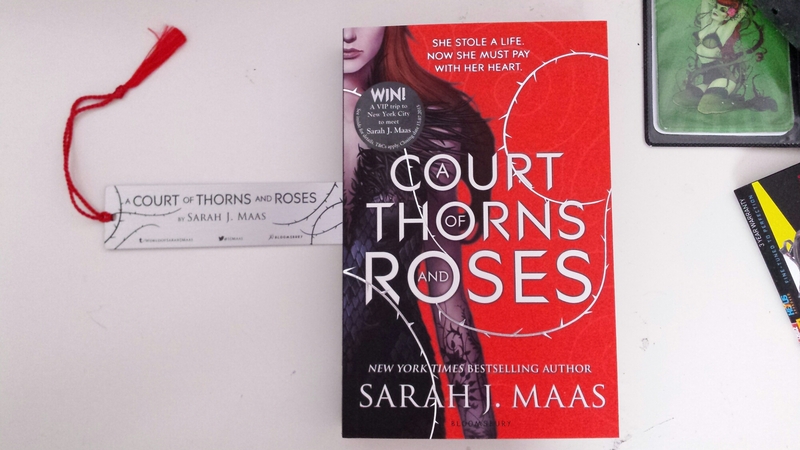 The first author I met was Sarah J. Maas the author of the Throne of Glass series. 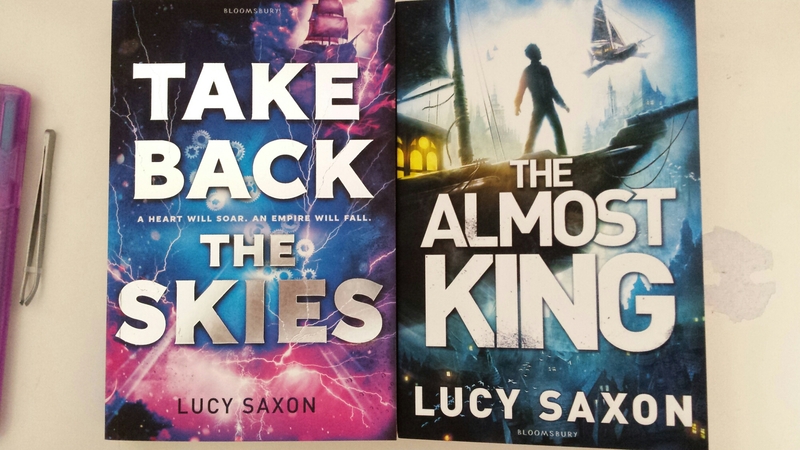 I haven’t yet read them but I liked the covers and the blurbs. This is the first in her new series and has only been out a couple of weeks. 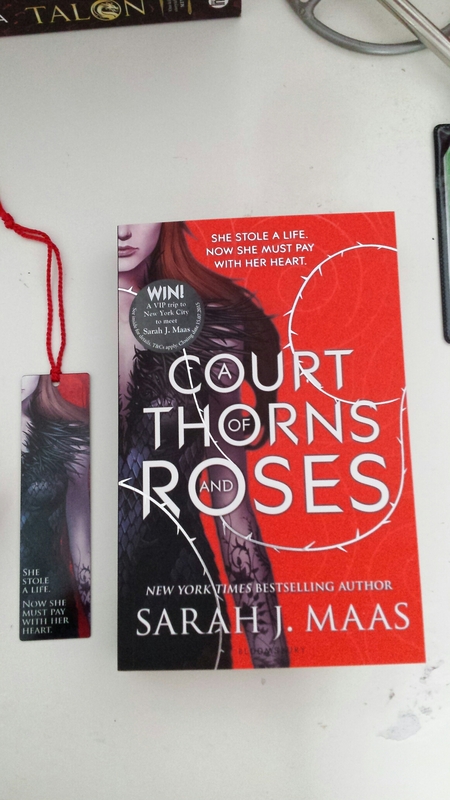 I was given a free metal bookmark which you can see next to the book (back and front design of the bookmark) and I was fortunate enough to get A Court of Thorns and Roses personalised by the author. I also purchased the above. 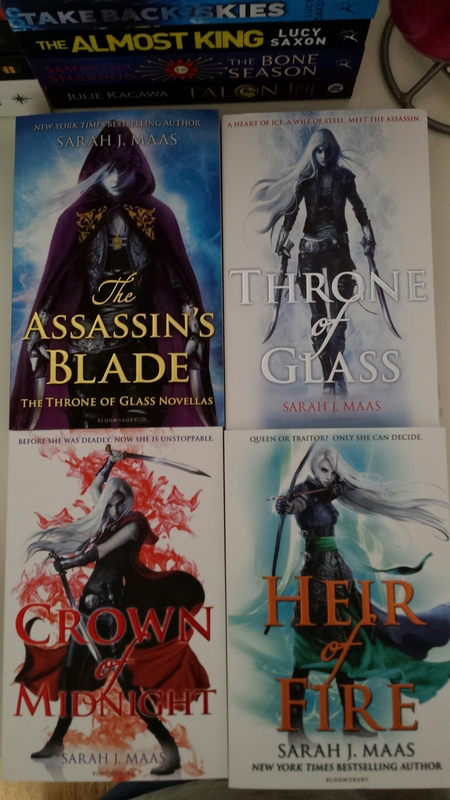 The entire Throne of Glass series so far – the forth installment Queen of Shadows is releasing soon. I was fortunate enough to have Throne of Glass signed. The Almost King – I am proud to say – is a first edition and has not yet been published to the masses. My copy unfortunately or fortunately whichever way you look at it had a printing error. About 3 quarters through the book there is a bend on one of the pages, when this is opened out there’s excess paper along the edge of the book. I am a huge stickler for perfect books however, I find myself unbothered by this error and feel it makes my copy more unique. 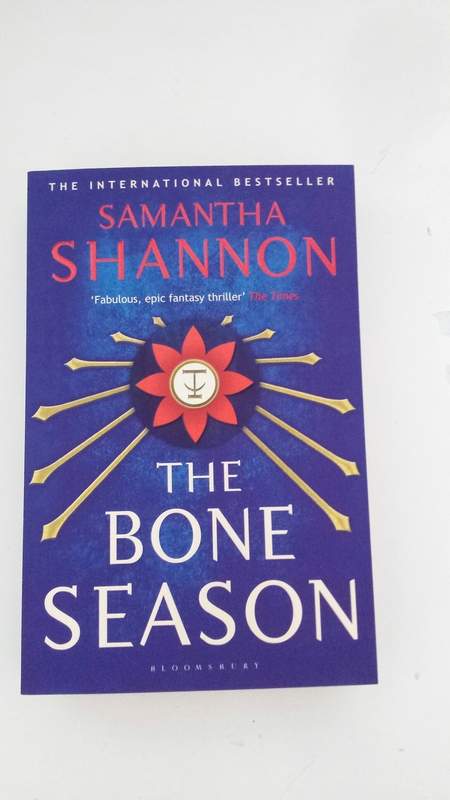 Signed first edition with a printing error no one else is likely to have. Yes please.